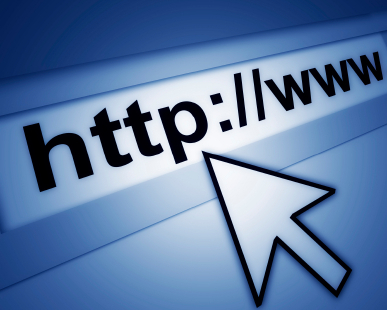 Web Literacy 101: Look Up! I have a geeky habit that I would like to admit…I prefer to type out web addresses, rather than bookmarking them. Why? Because it forces me to think about how websites are organized, and it tunes me into the browser address bar and what site I’m at. I completely understand that using the search box to find a site can be more efficient, but the concern I have is that clicking on search results, without noticing the actual web address, leads to misunderstanding how sites are organized. It is a basic skill that can greatly improve basic web literacy. Once again, the overall name remains williamsvillek12.org, while the sub-parts change. In the case of Williamsville wikis, all share the same third, second and top level domains (***.wiki.williamsvillek12.org). It is only the very beginning of the address that changes. This analysis can be applied to any web address, and should be the first step in web literacy for students – what is the URL of the site you are at? What is the top-level domain (.edu, .com, .org, etc.)? By reading the URL, can you determine any information about the site? Every time you click, keep your eye on the browser’s address bar – one click can take you somewhere you do not expect. Let’s take it one step further to look more closely at our district Google Docs accounts – the web address is below. When you click on it, keep your eye on the address bar (the link is set to open in a new tab or window). That is a very different web address, but stick to the base address – www.google.com. We have a district Google Docs account with a district web address, but the actual accounts are on Google’s servers, not servers owned/managed by the district. There are many more interesting pieces about that web address that are more geeky and I will leave out, except for one (can’t resist…) – buried in the web address is “service=writely.” Before Google Docs was created, there was an online word processor called Writely that really got the ball rolling in terms of writing and collaborating online. Google purchased Writely’s company in 2006 and merged it with its Google Spreadsheets application. Even though Writely went away years ago, it still lives in the web address for Google Docs (and is the technology behind Google Docs). OK, sorry to geek out there, but I think you get the point. Web addresses are extremely informative. There is no need to know the ins and outs of every web address, but the basics can really shed light on the world wide web for students. All you have to do is look up!